I’m honored to have been invited to join the illustrious cast of bloggers here filling in. Congratulations to Rohit and his family on the birth of Jaiden Kumar! What a beautiful name. I’ve been thinking about names a lot lately. Many would say that names are destiny. What you are called shapes your self-perception and how others respond to you. How do you picture a woman named Brandi? What does she look like? What is her personality? What kind of job might she have? Now picture someone named Susan. Do different images come to mind? What you call yourself and what others call you is important. Now, what if everyone had variations of the same name? This is quite common in China, where there are more than a billion people sharing about 100 surnames, and 1.3 million people are named Liu Bo. It happens here in the US too, where we have plenty of John Smiths and Lisa Williams. In fact, my sister’s best friend in elementary school had a name pronounced exactly the same as hers (though different by a couple of letters). It gets confusing pretty quickly, especially when you are searching online for someone with a very common name. This naming issue has come to the fore over the past couple of years in my field of specialization, social marketing. No, I’m not talking about using Facebook and blogs and word of mouth. I’m referring to the over quarter-century old marketing specialty geared toward motivating health and social change. If you do a Google search on "social marketing," you’ll see that most (but not all) of the results are websites providing information on this established field. However, do the same search on Technorati, and you’ll find that nearly all of the results are from bloggers using the term "social marketing" to refer to anything from using social media like blogs or YouTube, to using social networking websites like Facebook and MySpace, to anything vaguely Web 2.0-ish. Yikes — this gets awfully confusing for anyone who wants to learn, talk about, or search for information on either type of social marketing. A rose by any other name would smell as sweet, but an American Beauty rose and Rose Kennedy would smell quite a bit different from each other. The same shift is happening right now with the term "social advertising," which had a very specific meaning of advertising about social issues, but suddenly found itself with a new role as a result of Facebook’s Social Ads (which spurred its own Facebook protest group). First, and most practically, people searching online for information about either type of social marketing are bound to encounter the wrong sites for their needs. Only those who already have some idea of what they are looking for will be able to effectively pick through the results. Second, clarity saves a lot of misunderstandings and wasted time. When I’m talking to tech-savvy people for the first time, I generally have to spend the first part of the conversation explaining what kind of social marketing I do. And whenever someone else refers to "social marketing," I have to make sure that we both mean the same thing by the term. Third, we health and social change social marketers have had a hard time building a brand identity for social marketing — it’s still widely unknown or misunderstood even among nonprofit and government agency people who have never heard of social media or Web 2.0. Mixing in the name confusion definitely doesn’t help! Be a better marketer when you buy classic Social Marketing! Avoid those looks of disapproval from your fellow marketers by using the term correctly. Everybody’s doing it! Tell all your friends! But I’d love to hear your ideas too. 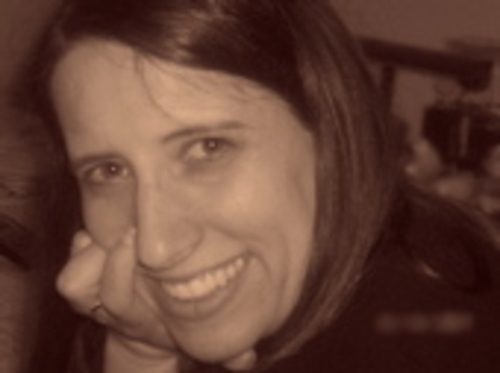 Nedra Weinreich is a social marketing consultant and blogger at Spare Change.